I've been using Last.fm since November 2008, and ever since then I have been on the lookout for a way to visualize my music history. 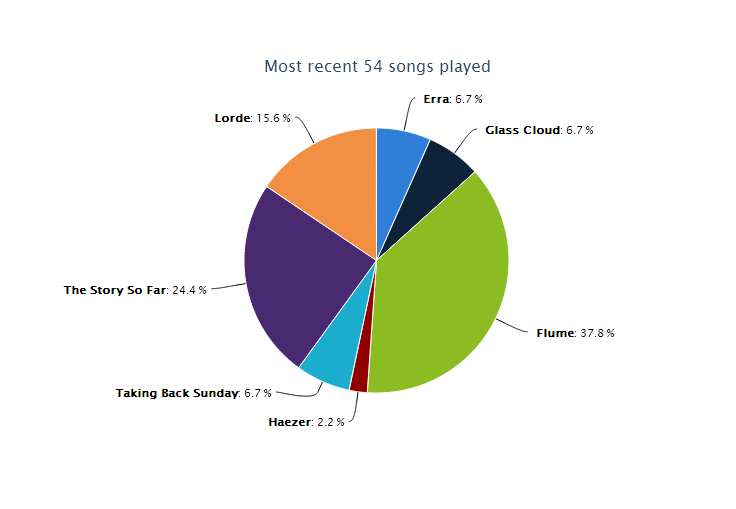 There is a group that keeps a list of software that works with Last.fm, but only one really adds good data visualization. However, the project is abandoned and it only scratches the surface of what is possible. Out of my frustration is born Stats At Last. It is paramount to highlight PennApps as the kickstarter for this project. A week before the event I began contacting various designers offering their services for the hackathon. By the time I arrived at UPenn, Daniel Bogre Udell was the one remaining contact who had interest in the project. Ultimately he went on to pursue other goals and I was left to work solo. However, I had the good fortune to work alongside a hastily-formed group of four who were great company throughout the weekend. 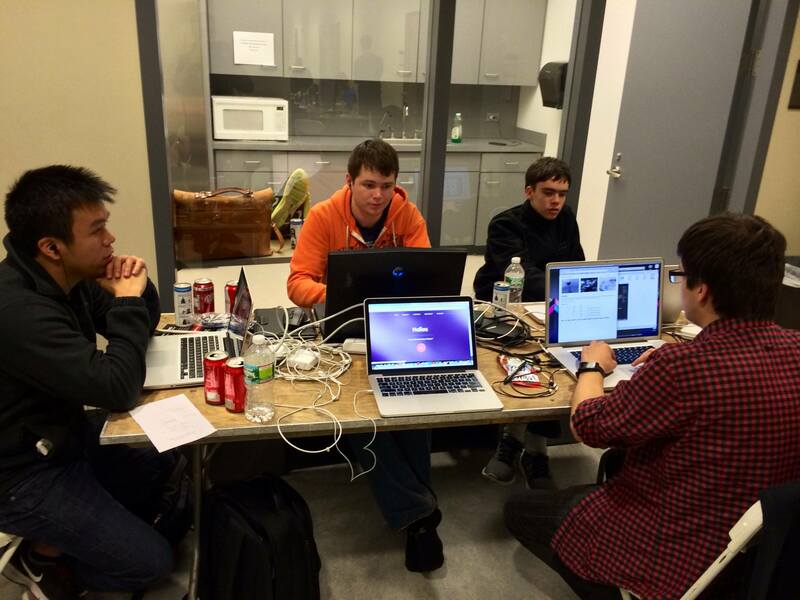 Working by yourself, but within a group of hackers, is awesome. But the backend of Stats (built with Meteor) took most of my time, leaving little room to experiment with graphs. On the whole, food was plentiful and sleep was mediocre. PennApps offered me a fantastic first large hackathon experience, and we're hoping to try and replicate that experience at RIT going forward. Stats At Last is a project I want to continue work on. I created to fill a personal gap and there are many more features I want. The first step will be making a desktop wrapper so that I don't have to pay for hosting. Longer term I want to play around with the available graphing libraries and the features they could bring to the table. Speaking of graphs, I have big plans in mind. I want to query a person's concert attendance and drop pins onto a timeline graph of an artist. Did you start listening to a band in anticipation of seeing them live or did you stop listening after hearing how awful they were? Overlay two bands on the same timeline graph. As I listened to a lot of Woe Is Me, I see that The Word Alive saw an uptake in plays as well (TWA is located after WIM in my playlist, that makes sense!). Stats At Last is an application meant to facilitate the kinds of findings in the last two examples, and future development will focus on bringing these discoveries to users.